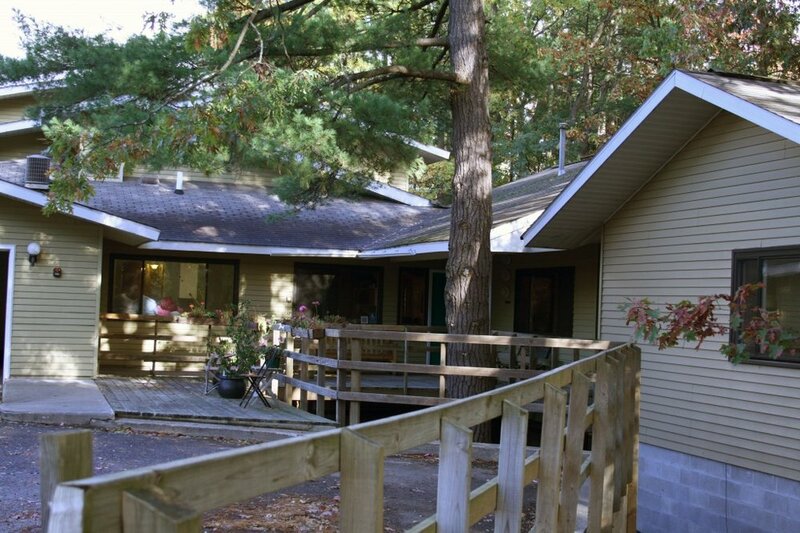 The first home built in 1978, the CLC was initially designed to be a 16 bed adult foster care home for adults with developmental disabilities. MSHDA funded the cost of the building through low interest loans and HUD provided subsidies for serving adults with very low incomes. Local funding cuts and changes in housing rules at the federal level were the motivating factors in a major overhaul of the CLC completed in 2016. The CLC now features 8 fully remodeled efficiency apartments. Each apartment has a kitchen area with a full size refrigerator, double sink, microwave, studio dining table, chairs and a private bathroom. No supervision is provided in this independent living option. A live in staff person provides basic housing maintenance. A community meal is provided one night weekly for socialization. A lower level multipurpose room offered to nonprofits and educational programs free of charge, was completed with help from Troy and Tamara Broad and generous donors at the 2016 annual wine pairing dinner. The large room can be used as an open space for exercise or with table and chairs for meetings, events or other activities. Lower level wheelchair access is a planned future improvements.